Check out our extra good deals! 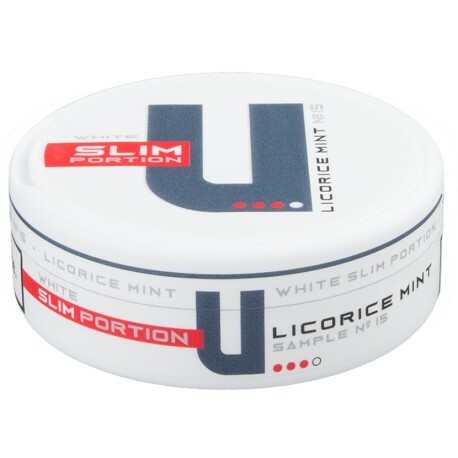 U Sample No.15 Licorice Mint Slim White Portion is an extra strong snus that combines spicy licorice flavor with the sweet freshness of peppermint. Slim format for a more comfortable fit under your lip. The white portions are used to guarantee a longlasting flavor and nicotine release. No review has been submitted for this product. Be the first to review it!